Sugarcane fields and stormwater treatment areas near the Everglades Agricultural Area. For two decades, Florida has had an annual limit on how much phosphorous can flow out of the Everglades Agricultural Area -- a region of farmland south of Lake Okeechobee. Farmers and sugar-growers must release at least 25 percent less phosphorous than they did before the limit. Until this year, farmers haven’t had much trouble making this goal, which was established in 1996 by the Everglades Forever Act. They have a near-perfect record of exceeding the 25 percent reduction standard -- often by as much as 40 percentage points. 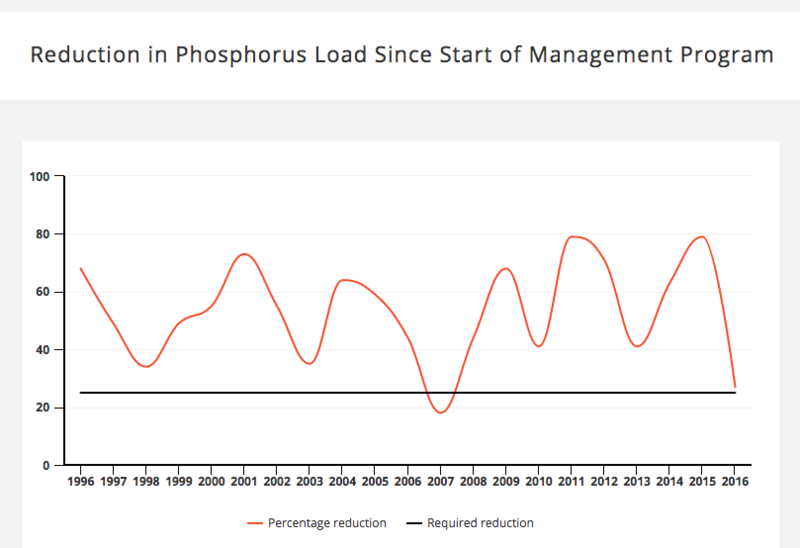 This year, the farmers beat the 25 percent goal again, releasing 27 percent less phosphorous. But they struggled more than usual because of very heavy rains. "They had the rainiest year since 1932," said Melanie Peterson, a member of the South Florida Water Management District's governing board. "Any time the ground is saturated, you're going to have an issue where it's going to be difficult to either contain or control nutrient runoff." 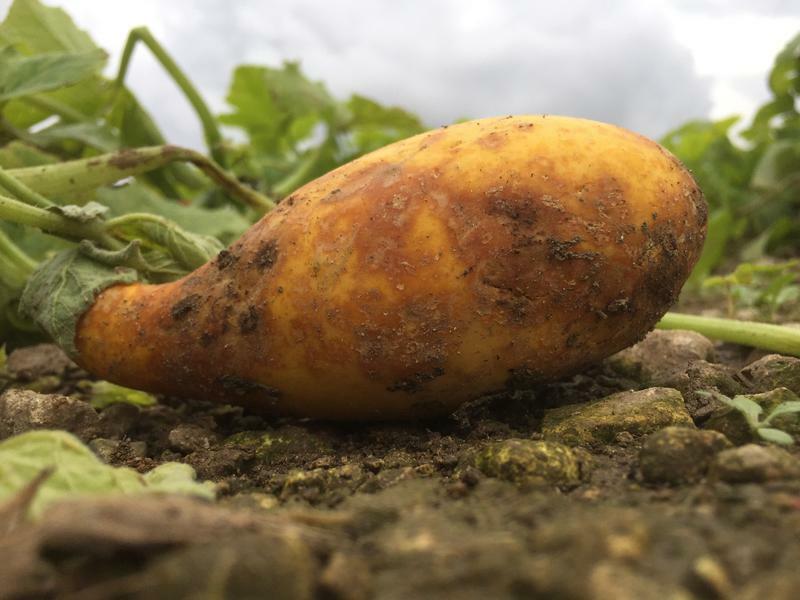 The heaviest rain came right in the middle of growing season -- when phosphorus levels are highest because of the fertilizers used in the growing process. Extra water from the rain interfered with the closed canal systems that usually keep phosphorous on the farms. And farmers had to deal with heavier-than-normal runoff from other areas near Lake Okeechobee. "The fact that they accomplished 27 percent in such a historically wet year is, I think, commendable, really... It's just super commendable," Peterson said. But critics of the reduction goal program say this year's success is just another indicator that it's time to either raise the goal from 25 percent. Dr. Melodie Naja, chief scientist for the Everglades Foundation, pointed out that in 1996, the first year of full implementation of the reduction program, farmers released 68 percent less phosphorus -- well above the 25 percent required reduction. 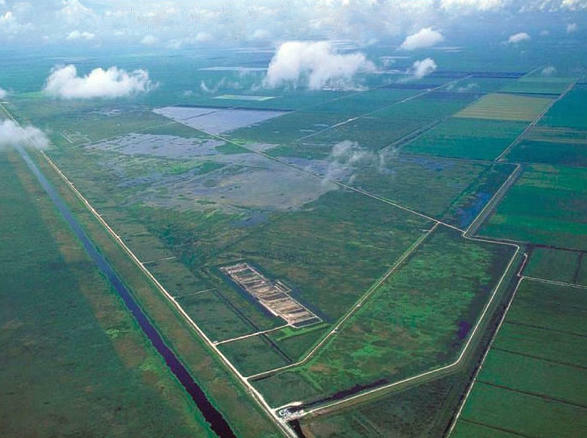 Farmers and growers in the Everglades Agricultural Area have been extremely successful in meeting a state standard that requires them to release 25 percent less phosphorus annually than the amount that was released before 1996. "In just the first compliance year... that's really very high," Naja said. "Normally when you implement best management practices, you could expect several years to see an impact on water quality." Naja said there’s also a problem with using a standard based on averages. "Basically, the bad neighbors are counting on the good neighbors to achieve the 25 percent." Naja said measuring the load of phosphorus that reaches the Everglades would be a better measure of farmers' success in reducing their phosphorus releases. She also recommended that individual farms be held accountable for the amount of phosphorus they release. "We need to target those specific hotspot areas," Naja said. Every harvest season, sugar farmers in Florida light controlled fires to burn off the leaves on the sugar cane plant. Only the stalks remain, waiting to be cut down, transported to mills and refined into sugar. The Sierra Club says the practice is outdated and harmful to public health. 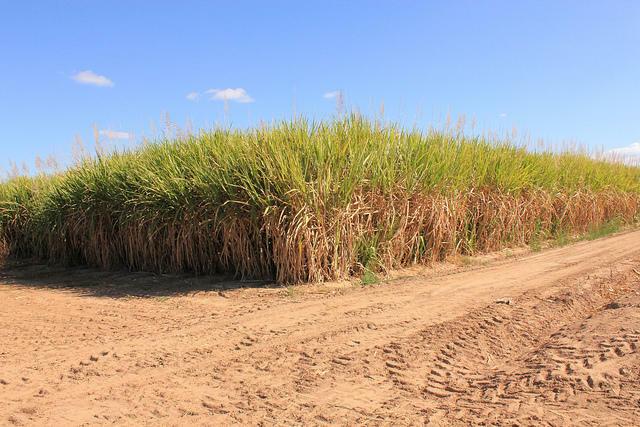 The group’s Florida branch recently hosted a Big Sugar Summit in West Palm Beach to call for an end to cane burning. This December has been one of the wettest on record for South Florida—and while it’s been a couple of days since the hard rains let up, there’s still standing water in fields across the Homestead area. From the side of the road, you can see yellow squash plants, wilting and submerged in mud. Soft fungus and the pockmarks of rot scar the vegetables. 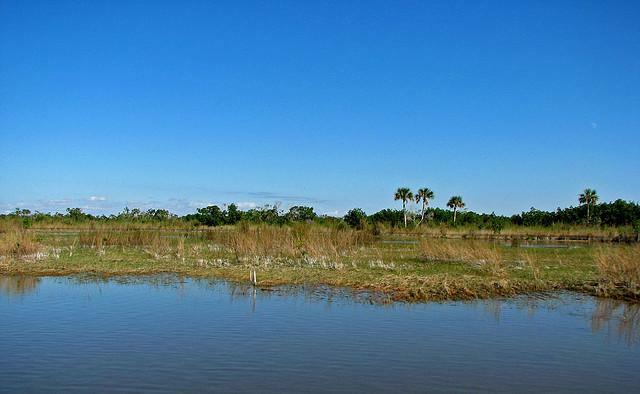 Florida’s Senate President-elect Joe Negron announced Tuesday he’ll seek state lawmakers’ approval for a $2.4 billion plan to store water south of Lake Okeechobee. The plan would require the acquisition of about 60,000 acres of land in an area mostly occupied by sugar growers and farmers. 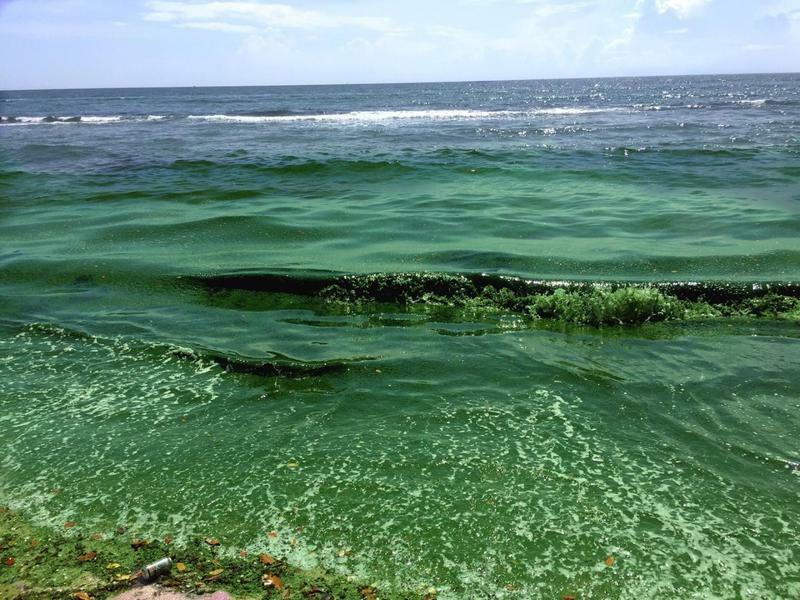 The goal is to reduce Lake Okeechobee water outflows that have contributed to the growth of blue-green algae on Florida's east and west coasts. Who Controls Water Standard Levels In Florida? Behind a Florida waterway, a seemingly untroubled scene – behind the turtle sunbathing atop the limestone rock, the water control structure and layers of sawgrass – there’s a political backstage. The actors: The Environmental Protection Agency (EPA), which currently holds control over water standard levels in Florida, and the state Department of Environmental Protection (DEP), which wants it. As of Friday, it seems that the two are one step closer to making the swap, which would afford the state jurisdiction over 98.9 percent of the water bodies in Florida.